When we went up to Colorado for our honeymoon, we found an amazing little spot on some Forest Service land that didn’t have throngs of visitors. It was one of those places that you don’t want to tell anybody about because you know that once word gets out, it’ll end up being overcrowded, and eventually destroyed due to the throngs of people. Unfortunately, one guy found out about it that should have just stayed home. This jerk left broken beer bottles and metal cans in his fire-ring after he left. Here are some simple campfire etiquette rules to avoid being despised by your fellow campers. 1. Don’t build a campfire if there’s a burn ban in place. Do you really want to be the guy that started a forest fire? Follow the rules, those burn bans are in place for a reason. 2. 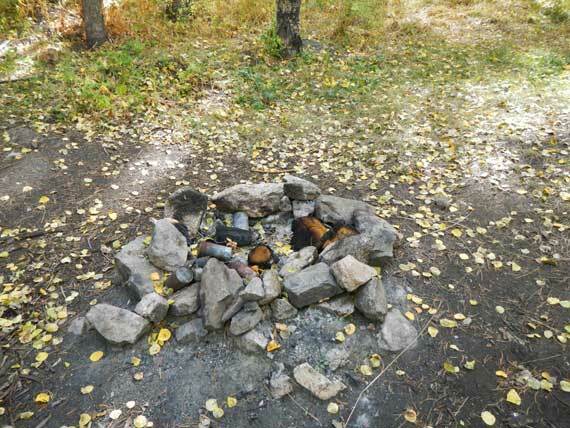 Even if there isn’t a burn ban in place, if winds are high, it’s best to not have a campfire. 3. You don’t need a bonfire. Build your fire just big enough to suit your purpose (cooking, staying warm, etc.). 4. Have a shovel and several gallons of water handy to put out your fire. It can take as much as five gallons of water to fully extinguish a fire. After you pour your water on the fire, stir it thoroughly with your shovel. When you feel like it’s out, put your hands over it to be certain there’s no more heat. 5. Don’t walk away from your campfire and leave it unattended. 6. Only throw trash in the fire if it’s going to be fully consumed. Don’t throw things like plastic in it, nobody wants to smell the fumes. If you do throw something in there that isn’t fully burned, either pack it out or throw it in the trash before you leave your campsite. 7. If there’s a fire-ring already in your camping area, don’t build another one. Luckily we weren’t staying in the campsite that that guy was staying in. 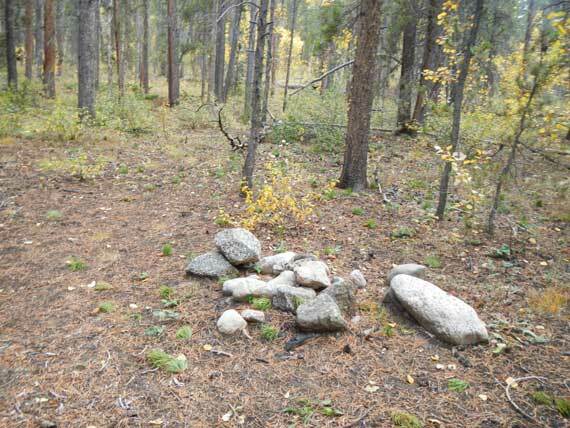 Below is what the fire-ring was left looking like by the previous campers where we stayed. They were awesome. The other guy wasn’t. I understand that building a camp fire is one of the best parts of camping, but don’t be a jerk. Sometimes it just doesn’t make sense to build a fire. Try to stick to the “no-trace” rule. You’re awesome, if when you leave, nobody will know you were ever there. If you leave a mess like that guy did, you should just stay home. Why even go out to nature if you’re just going to leave a trail of trash behind as you pass through? We were so disgusted after seeing that guy’s mess, we couldn’t bring ourselves to build a campfire at our site. We left it undisturbed.